I’m not a political person. I have no knowledge in the field whatsoever. However, to be honest, the 2014 elections captured my attention and I liked the official Facebook page of AAP to be updated. Click here to go to the comment. It had about 100 likes at that time. I looked away for a few moments, and when I saw it again, the number had risen to around 400. This might be normal for high-volume pages like this, but it got my attention. I opened the “People who like this” window, and saw a list of people with either gibberish or foreign names which any sane native Indian wouldn’t have. I decided to investigate this. I scrolled down and tried to load as many names as possible. 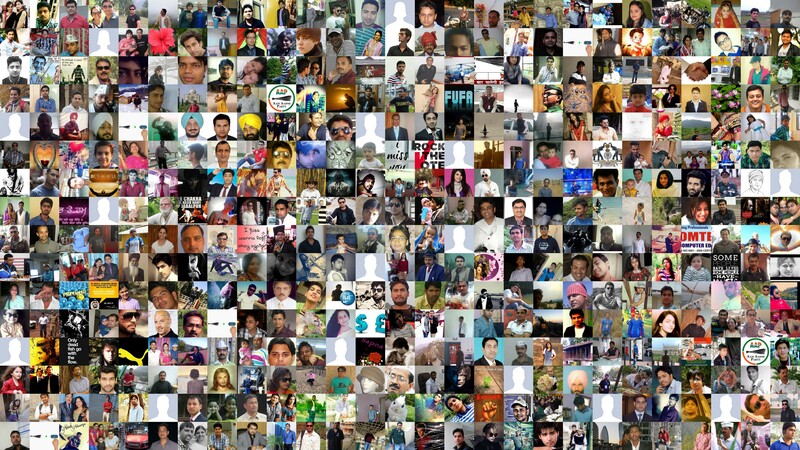 Using simple programming, I was able to come up with around 470 profile links (FB didn’t allow more). 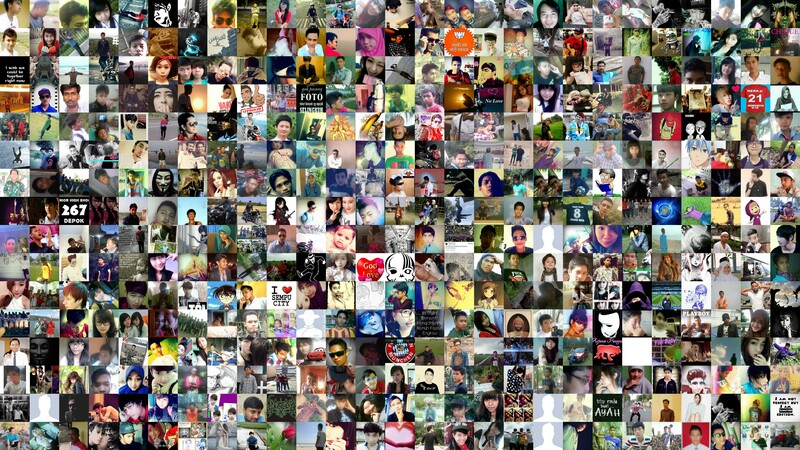 Click here to see the list of profile links, and click hereto see the list of their names. Normal, isn’t it? 0% of the likes seem to be from outside India. Click here to see the profile links of these people, and click here to see their names. To anyone who doesn’t buy this, the data is out in the open and you can have a look yourself. Of course, before the poster deletes them. Anyway, that’s all I have to say for now. I’ve tried to stay unbiased in this post by just presenting the facts. You’re the one who has to decide. Also, for those who’re interested, here’s some simple Python code and the files that I used. 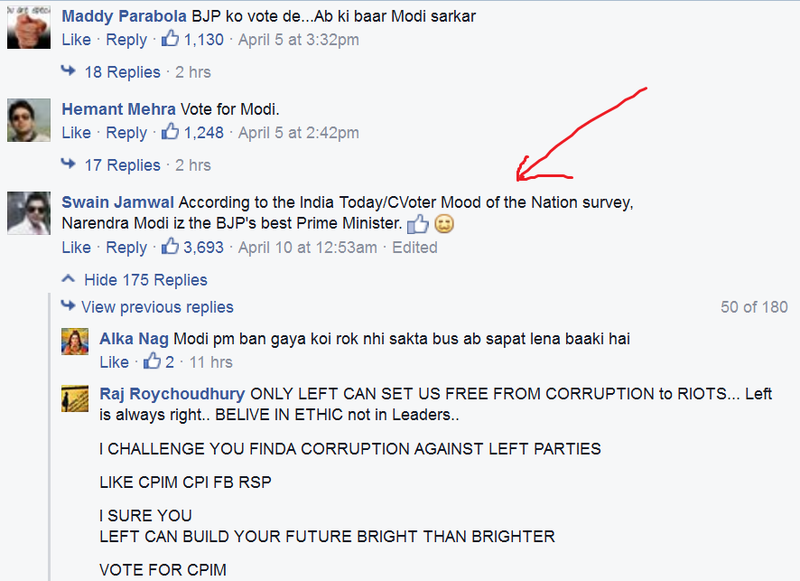 The commented that supported Modi has been deleted. I’m really sorry if you couldn’t see that. But I’m sure people who have seen the comment can verify that it existed. Some of these fake profiles have references to “liking” websites. Take a look at the following post and the comments on it. Heh. In case this gets deleted, here’s the image. I’ve compared only two comments in this post. So of course, this may deviate from the facts. That’s why I encourage you to do this yourselves. 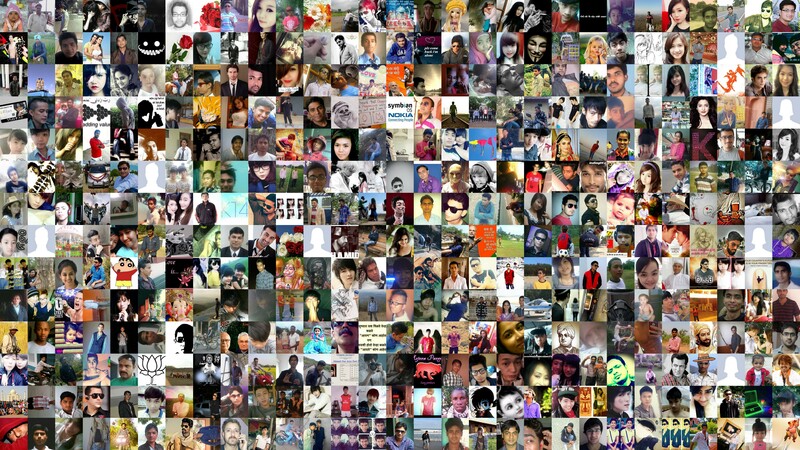 Fake followers of Modi or Kejriwal – I don’t care. I’m not standing up against anyone. I just want the truth to be out. As a commentator pointed out below, the struck-out statement (above) really is pretty naive, thanks for pointing that out. It is possible to get a lot of likes for free (although it’s harder). It is possible that real BJP supporters used free click farms, instead of BJP workers. It is also possible that BJP workers are being instructed to use free click farms to increase online reputation. 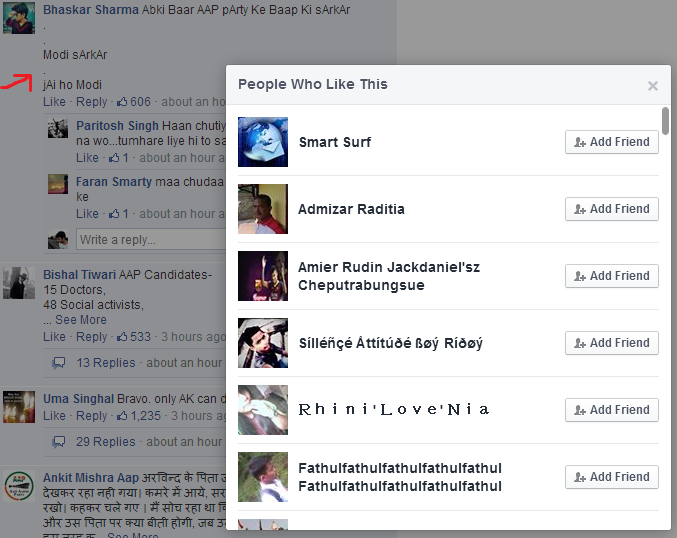 I’d love to see comments supporting AAP having fake likes. I’d like to have a fair comparison. If you find any, please comment below. I’ll remove the moderator approval for comments. Some people think I’ve written this post as if it’s a Nobel-worthy discovery. I don’t know where they get that from. I realize what my standards are, and I’ve tried to make that clear. Actually, it now seems that any more effort at continuing this post is worthless, if not stupid. The issue not that big, and it’s enough that thousands of people now know about it. Please share this far and wide. It will make a difference.